Adding onto their crisp lineup of ready-to-wear pieces, Theory is delving into accessories in a big way. 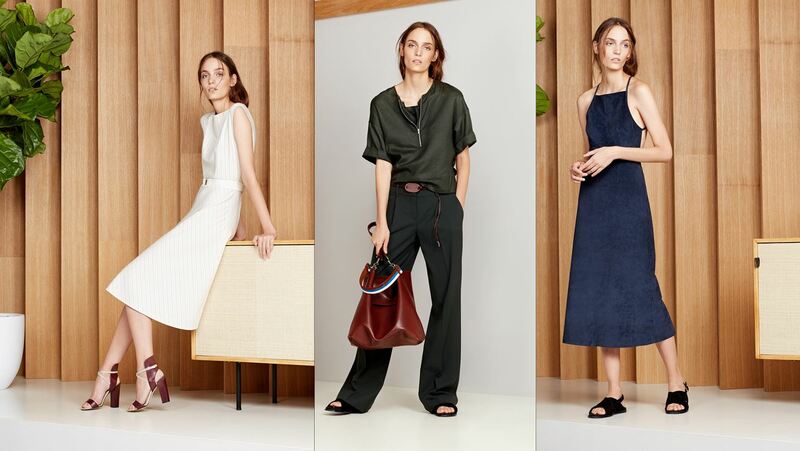 Come spring, they will be stocking their stores with a collection of bags and shoes that stay true to the simple-yet-luxurious Theory aesthetic. The bags will come in three main styles, including a tote, a clutch, and versatile bag with leather-flap closure, and all will be priced between $295 and $745. For shoes, Theory founder, Andrew Rosen tapped Paul Andrew, the newly crowned winner of the CFDA/Vogue Fashion Fund, to create two styles for the range. This includes a flat and a block heel sandal. The shoes and bags will debut at Theory stores and online on January 15 and for Pre-Fall they anticipate launching five more shoe styles and one additional purse. Taking charge of this new category is creative director of women’s designs Lisa Kulson, who was tapped as Olivier Theysken‘s replacement, when he left the label this past June. And while this isn’t the first time the brand has put their name on an accessories line, this is the first time accoutrements will be a big focus for the label. In the past they collaborated on kicks with designer Rachel Comey and released a few pairs of chaussures to accompany the Theyskens’ Theory collections. Haute For The Holidays With Candice Swanepoel!